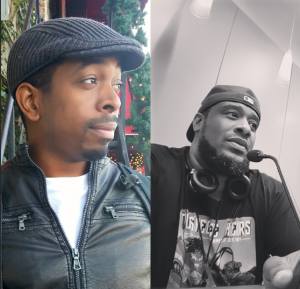 In this week’s episode, we had the pleasure of conducting an interview with Greg Burnham and Marcus Williams, creators of the newly released Tuskegee Heirs comic book series! Tuskegee Heirs focuses on five young, African American pilots following in the aviatic tradition of the World War II Tuskegee Airmen. The legacy of the Tuskegee Airmen is significant and this comic seeks to pay homage to their greatness. In this way, they are able to inspire children who are able to see main characters that look like them. Greg and Marcus have been working together for over fifteen years. They act as a dynamic and creative team-Greg is the writer and Marcus is the illustrator. For them, representation matters-and they aim to provide strong, fully developed characters enveloped within a dynamic fusion of history, science fiction, and action that takes the characters around the world as they race to defend the world. They released the first installment of Tuskegee Heirs in December of 2016, and this is just the beginning! Tune in and immerse yourself in the wonder and folklore of the Tuskegee Heirs!